Waterbuck (Afrikaans name, Waterbok) can easily be identified by the white circle on its rump, commonly referred to as a toilet seat. They have a greyish brown coarse shaggy fur. 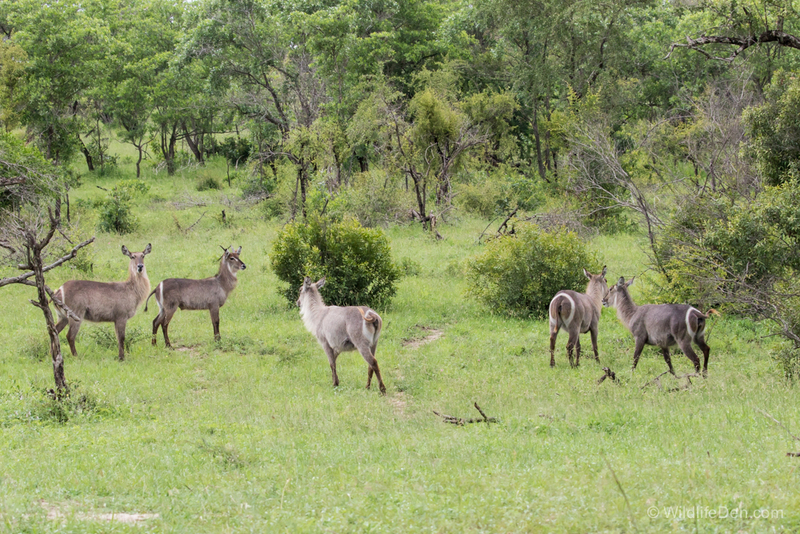 You can often smell Waterbuck before you see them, they carry a strong turpentinelike smell, secreted by glands on its skin. The smell is said to even ward off crocodiles. 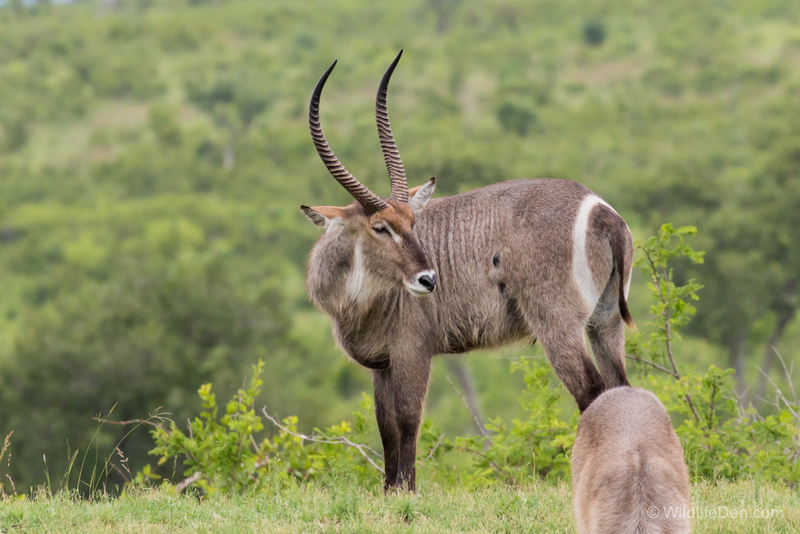 If pursued by predators a Waterbuck will plunge into a river, often right up to its nostrils, and then turn and face the predator showing off these magnificent horns. A dominant male usually tries to retain a nursery herd of five to ten animals although more may be seen in the summer months when grazing is plentiful. Before giving birth, in early or late summer, the female will leave the herd to seek a well camouflaged hiding place for her calf. The calf will follow the mother back to the herd after three to four weeks.